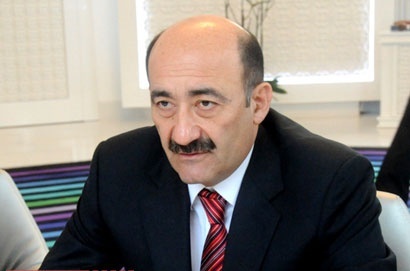 The state doesn’t influence the pricing policy of hotels in Azerbaijan, said Abulfas Garayev, the country’s minister of culture and tourism. “The prices are set by entrepreneurs. The state can only instruct them, hold trainings and give recommendations on pricing,” Garayev said while addressing a ceremony of awarding the winners of the "Tourism and Media: Joint Activities on the Way to Development" contest in Baku on July 11. Speaking of accommodation, the minister assured that local hotels have no empty rooms on weekends, which is due to that people travel to the country’s regions on Saturdays and Sundays. Garayev also noted that new mechanisms to promote the construction of two- and three-star hotels in Azerbaijan will be developed. The country plans to increase the number of two- and three-star hotels of economy class for the development of both inbound and domestic tourism. Today, the country has about 300 tourist companies and more than 570 placements. The country hosts a series of luxury hotels – Jumeirah, Excelsior, Hilton, Four Seasons, Fairmont, JW Marriott, Kempinski, as well as many budget hotels for cost-conscious travelers. So far, 106 hotels and hotel-type facilities have passed the classification in Azerbaijan to obtain the certificate of conformity for a particular star category. The minister further stressed that the tourism market of Azerbaijan is not a monopoly, and this sector is open for anyone willing. He further reminded the participants that the development of tourism is one of the priorities of the country’s government, mentioning that both domestic and outbound tourism should be developed in the country. Overall, Azerbaijan has witnessed a leap in the number of tourists visiting country, which can be related to the recent application of the simplified visa for foreigners. The greatest rise was noticed in coming of Arab, Korean and Japanese tourists. Furthermore, the country has held a number of major international sports, political and international events that helped to attracting more and more tourists to the country. Today, Azerbaijan is able to accommodate 35,000 tourists per day, but this figure can reach 40,000.